You are stunning and an inspiration to me! THANK YOU! 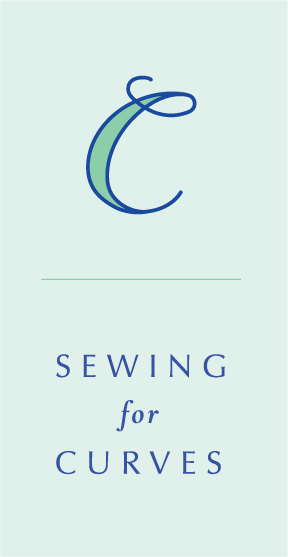 Jenny: I am an early intermediate self-taught sewing enthusiast. I just found your website, and I am SO inspired by it! Keep up the good work. Wow! What a great wardrobe – do you actually have that many garments in your closet at this very moment? I would have to move to a three bedroom place to fit so many things in – yet I cannot see how I could select any to discard. You prove something I have always known – any woman can look great if she follows her own image of herself at its best. For ages I was a women’s tailor – usually for women in the “It matters how you look” workforce. Mothers in particular worried bout fashion for the maternal figure – and let’s face it, figures change over time, even when the scale stays the same. Once women get over the idea that they have to look like a pencil to be glamorous, they begin to learn that a good cut, and a good fit join up to make a great look. Careful fabric and color selection count, but can reach out in all directions with a bit of good judgement, and dressing for the circumstances of the job, the activity, the weather, etc. Great appearance starts with a great smile, and a warm heart. I am so glad to see that more women are sewing for themselves!! Such a wonderful act of self indulgence, and it is a great way to get what you want in the overall wardrobe. Your fashions are lovely. They look young and not matronly. I love them. i’m getting ready to order the sketch book so I can get started on my wardrobe planning. Thank you for sharing. I haven’t tried it no, but BlueGingerDoll has gone out of business so unless you find a re-seller you may find it hard to get the pattern. Thank you Jenny for replying to my question. I found the pattern on WeSewRetro and decided to give it a try. Dear Jenny! Your inspiration is fantastisc. And both your patterns and what you make your own is wonderfull. I have a I kind of sewing “collaps”. After 2 hard movings, sicknes, and pains, I have totally lost my energi and selfbelive in sewing. And, its like the more I read about, Fba, lba and other, i totallly loose it. I dont work because of my health issues, og need to do something to fell “usefull”, and sewing use to my “thing”. Oh my gosh, you have the most awesome wardrobe!!! You’ve totally inspired me to try making myself something! !